Sonata offers multiple lifestyle choices, including independent living, assisted living and memory care. 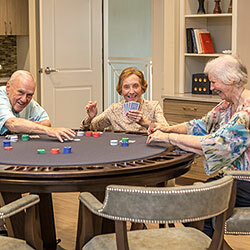 Each one featuring the same attention to detail and the highest level of service and care in a beautiful, thoughtfully designed environment that is home to many proud seniors. This feeling of home comes from our ability to connect with our residents and foster genuine relationships on a personal level. With spacious apartments, excellent service and a single monthly fee that includes cable, Internet, three meals daily, chauffeured transportation and more, we offer hassle-free retirement living at a value rarely found. In addition to providing best-in-class services that foster independence, our staffing includes a 24-hour nurse and enhanced caregiver certification provided by our own Positive Approach™ to Care Certified Coaches — demonstrating once again that we go above and beyond when it comes to care. At Sonata, we’re continually redefining memory care. 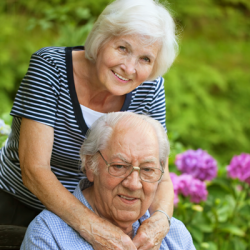 Those with Alzheimer’s and related dementias receive the same benefits as our assisted living residents, and we raise the bar by integrating the latest in programming, training and technology to help us meet individual needs with purposeful, custom care.